PH888/ShutterstockImproving your marriage is like getting in shape — they both take a lot of effort. To help break those cycles, couples therapist Peter Pearson often prescribes the “Daily Double” exercise: Each partner must display only positive behaviours toward each other for two weeks straight. Pearson has found that it’s much harder – and more revelatory – than it sounds. 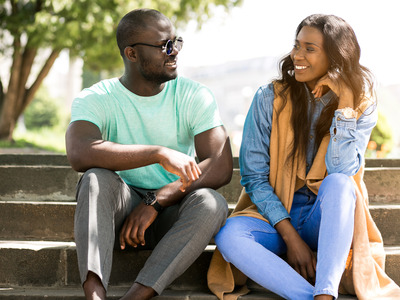 When couples sign up for an appointment with him, he often has them agree to do the “Daily Double” beforehand, which he says is both an intervention and a diagnostic exercise. The exercise sounds much simpler than it is: Twice a day, each partner has to say or do something to express to their partner that they love, value, respect, or appreciate them. At the same time, they have to avoid displaying any negative behaviours. Ideally, the exercise would last a month, but Pearson said most couples can’t make it that long, so he typically prescribes two weeks. The kicker? If one partner slips, the couple has to start the exercise from scratch. Couples who haven’t signed up for an appointment with Pearson can certainly try the exercise on their own. You can think of it as gamifying your relationship, the same way many app-makers have gamified the process of getting fit. For example, having to stop yourself every time you’re about to berate your partner for being annoying might lead you to realise just how often you’re berating the person. And struggling to display politeness in a conversation with your partner might reveal how brusque you are typically.